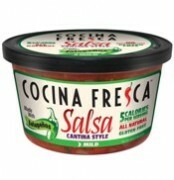 Fresh, never cooked salsas; salad dressings; the increasing segment of fresh dips. All these, constitute an excellent example of application of high pressure processing technology. 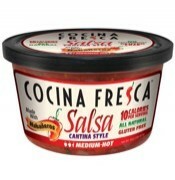 Once the fresh salsa or dip is ready for consumption and packaged into its bottle, pouch, doy-pack, cup, pottle, or tray with seal film (flexible materials are always required), the HPP process enables achieving a product with multiplied shelf life, while keeping the freshness and the organoleptic quality of its ingredients. With HPP being a non-thermal process, the nutritional characteristics of the product are not affected, and the properties of the emulsion are unchanged. 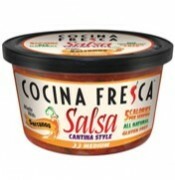 Fresh tomato sauces, guacamole, pico de gallo salsa, dairy-based dressings, hummus, taboulé, are high value added RTE propositions that do change a lot if they are either submitted to a classic thermal pasteurization or formulated with additives, acids, or artificial ingredients to help preserve them. With high pressure processing, access to premium markets is facilitated, offering dips and salsas without those chemical ingredients that mask the true flavor and quality of the product. More natural, fresher, flavorful references… with a long shelf life in the refrigerated product cabinet. Currently we don't have available videos specific to this section.